The JNC added four names to the list for consideration by Rick Scott to replace Ed Merrigan and Joe Murphy: Kal Le Var Evans, Dan Kanner, Stefanie Moon, and Vicki Plant. The previously submitted names, also still under consideration: Keathan Frink, Thomas Oates, Abbe Rifkin, Richard Sachs, Maxine Streeter, Steve Zaccor. Today’s JNC letter after the first six names went up regarding a forthcoming request for more JNC nominees from Tallahassee. Rumor had it they wanted Dan Kanner’s application too. In fact, we even mentioned the rumor to the ever modest Dan early last week, before news broke that Scott indeed was seeking more names to choose from. Kanner was gracious in his response, which was made off the cuff and not on the record, so it won’t be printed here. And now it’s up to Rick Scott whether or not Broward gets more diversity on the bench. Peter Weinstein may also play a role, given he was copied on the JNC letter, and the fact chief judges are often used as sounding boards before the final picks are announced. *UPDATE*– the jury room manager just confirmed all of the information below is accurate, while adding in no uncertain terms judicial administration’s Jack Tuter and Clerk of Courts Howard Forman deserve the credit for the revised May 28th list, which deleted Rosenthal, Richards, and Feren from the rotation. Well done! Yeah yeah yeah yeah yeah yeah yeah yeah yeah yeah!! Coming Soon – Rosenthal, Rosenthal, Rosenthal; SHOOT THE MESSENGER! Today’s guest: Chief Justice Polston! DISCUSS: WHY DON’T CIVILITY PANELS APPLY TO JUDGES AS WELL AS LAWYERS, WHEN THE JUDICIARY ALSO BEARS RESPONSIBILITY FOR TARNISHING THE LEGAL PROFESSION? Got Civility? The relatively new professionalism panels are a good idea. It’s mediation and dispute resolution before problems rise to the level of formal complaints, or reach the point of no return. But since they don’t apply to judges, it seems like the judiciary is once again dodging the issues by picking on lawyers and failing to accept even the slightest responsibility for their role in the steep decline of professionalism in the legal world. Whether fist fighting staff during court, putting public safety at risk by driving drunk, refusing to comply with sobriety testing, failing to come forward with a man on death row after a deeply tainted trial, or lying throughout official proceedings, Florida’s lawyers certainly don’t always have the best role models when it comes to how to behave. So how about it? Should civility panels apply to judges too? Should the Supreme Court order professionalism training for all judges? Or is the problem unfixable? 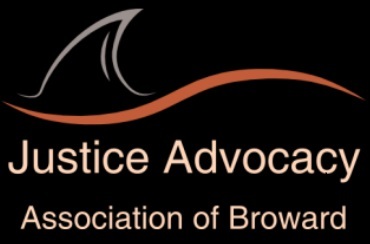 MEMBERS: Chair: Kenneth J. Joyce, Esq., W. George Allen, Esq., Juan Arias, Esq., Miette Burnstein, Retired Broward Circuit Judge, William R. Clayton, Esq., Benjamin R. Dishowitz, Esq., Andrea Gunderson, Esq., Marissa Kelly, Esq., Edward J. Marko, Esq., Stephanie Moon, Esq., Charles Morehead, III, Esq., Robert Saunooke, Esq., Stacy Schwartz, Esq., Maxine, Streeter, Esq., Bruce Weihe, Esq.